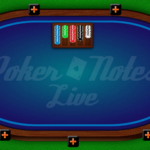 It’s no secret that the game of live poker is enjoyed by people all over the world. 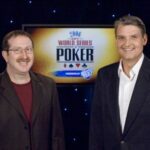 Be it in home games or in proper poker rooms, the Moneymaker Effect and televised poker broadcasts ensured that poker would be spread around to even the furthest reaches of the globe. Some of those places to play live poker are quite exotic, and with the game ever popular, a number of destinations have become chart-toppers in terms of their aesthetic beauty and appeal. The sand, the sun, the tropical year-round weather, the clear water… What’s not to love about the Bahamas? It’s hard to imagine a more paradise-like location on earth, especially since this destination that already “has everything” also has some great poker action going on at the Atlantis Resort each January. The people over at PokerStars clearly recognized some great potential a long time ago and chose this exotic destination to host their PokerStars Caribbean Adventure (PCA), arguably the premier yearly tournament gathering among online grinders. In the heart of the Mediterranean lies Malta, a country with a lengthy, rich history both geopolitically and culturally, as well as being a favored recreation spot among Europeans. 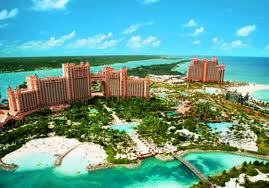 Recently, this island paradise also became a great exotic location to play some serious poker. 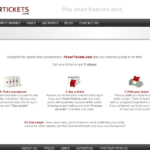 The renowned Pokerlistings poker news website inaugurated The Battle of Malta in November of last year. Something I particularly appreciate, as a recreational player, is that the series offers a number of low buy-in events which nonetheless end up rewarding large payouts due to the high attendance figures. Due to the tournament series’ success, it’s no surprise that the organizers decided to make it an annual event. One of the most charming places to visit in Europe, Copenhagen is located in the content’s “great white north” near the Arctic Circle. 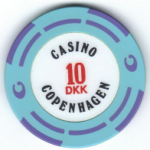 Definitely a cool place – in more ways than one – there aren’t too many poker rooms in the city but the Casino Copenhagen has a poker room that makes the city a bona fide exotic poker locale. 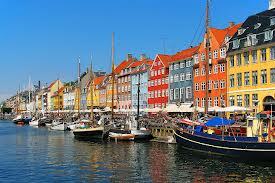 For the first 8 seasons of the European Poker Tour, Copenhagen was a landmark destination, but it has since been removed from the yearly schedule of stops. Perhaps in the future it might be added again. We’re sure of one thing though: Phil Hellmuth would probably never make it over to play poker in Copenhagen , as the city is full of “idiots from Northern Europe” (his words at 5:20 in the video, not mine). Varna, Bulgaria’s third-largest city, is a jewel of a resort town, straddling the Black Sea. Picturesque, historical, and full of culture, there’s plenty to enjoy aside from poker in this exotic seaside paradise. Recreational and professional poker players alike flock here from all over the region to play in the exciting Grand Casino International poker room at the Golden Sands Resort. The venue has played host to many an international poker event, including PokerStars’ Balkan Poker Festival and the Eureka Poker Tour. 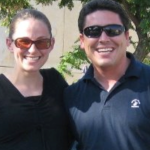 Just be advised that if Omaha is your game of choice, the locals are pretty darn good at it! What could possibly be more exotic than a cruise? A cruise with poker, that’s what! Giant vessels traverse the globe, reaching quite literally the most exotic spots on the planet. Cruise ships sail the oceans and the seven seas, as well as the straits, channels, rivers, and every other body of water imaginable. Ocean liners almost always boast fully-stocked casinos, and that means there’s usually at least a poker table or two to play at. The best way to ensure you can play poker while aboard your vessel cruising is to book a poker cruise with a company like Cardplayer Cruises. 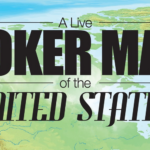 Have you been to another exotic live poker destination? Tell us about it in the comments section below or on our Facebook page.